Hey holiday lovers! Are you happy that the spring is already here? Are you waiting impatiently to come to summer season and to heat the road to some wonderful sea resort? But wait a minute – have you been on a ski vacation this winter? – Well, if you did not experience the exciting emotions when on a ski holiday and for some reason you think that is already impossible to do this (because the ski season is over), know that you are wrong! 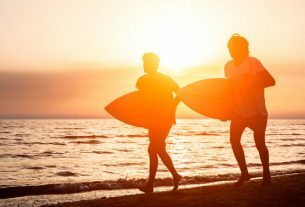 There is a still chance for you to enjoy some mountain resort, as well as to try the varied winter sports that are always attractive and always “in fashion”! But where to find such a ski resort that is still working and where we can “catch up” with the missed snowy emotions? What is that place that is still ready to welcome late tourists like us? The country of Bulgaria is your last chance to embark into an unforgettable, snowy adventure and you mustn’t miss it! This land has several great ski resorts that are perfect for your ski vacation even when is March… And if you still cannot guess which resort to visit, then we directly recommend you to go to Bansko – one of the most beautiful and attractive ski resorts in the country where you can fully enjoy the rest of the winter season… See more about Bansko pre-salles here! You can find this amazing mountain resort nestled among the breathtaking nature of the Pirin Mountains. 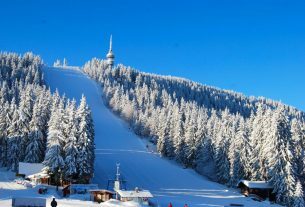 It is highly developed for winter tourism, as well as for practicing of different sports like: skiing, snowboarding etc. And if you dream to spend a one-week vacation surrounded by dramatic sceneries, fresh air and pleasant environment, then Bansko is your place and you have to visit it as soon as possible! This amazing ski resort has incredible conditions for having fun and recreation. It has everything you need when it comes to family vacation and won’t disappoint you! And whether you are visiting Bansko with you family of 4, or with some friends, your ski vacation in the resort will be equally enjoyable. The ski base, the hotels and the wonderful establishments are well-maintained and the risk for you to be disappointed is zero! Most people visit Bansko because of the excellent and varied ski slopes where everybody can spend a great time independently of its ski level… There are ski runs for kids, beginners and professionals and as long as you want, will be able to experience a real snowy adventure! And still, if you are feeling unsure of yourself when it comes to skiing, visit the awesome ski school in the resort and get several very useful lessons. This is the perfect way for you to make better your skills or even to make your first steps in skiing… Together with that, the ski school offers a great service for the more timid skiers – hiring of a personal guide who to accompanies you on the ski run! 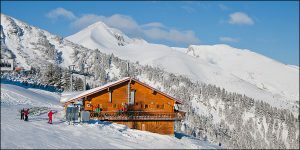 Well, Bansko is more that amazing not only for its great conditions for skiing and having fun, but for the wonderful hotels and restaurants too… There is a big variety of accommodations and establishments where every tired skier can take a rest, as well as to collect new strength for the next day. You will enjoy both low prices and excellent quality and will be amazed by the diversity of tourist services and kind attitude as well! 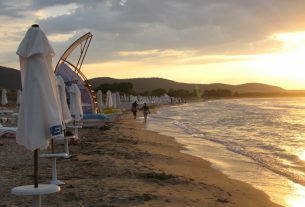 See more attractive travel deals and visit the tourist blog of Balkan Holidays – the leading tour operator in Europe! Bansko is on the top of many holidaymakers list and if you visit this incredible resort even once, it will become your favorite destination too! And you can go there not only during the winter season, but during the summer, the spring and the autumn too. Around the area of Bansko, there is a gorgeous nature that has to be seen regardless of the season outside!